This course is designed for data quality stewards who need to learn more about the Quality Knowledge Base (QKB), as well as how to use DataFlux Data Management Studio to investigate and work with the QKB and its components. This course can help prepare you for the following certification exam(s): SAS Data Quality Steward for SAS 9. 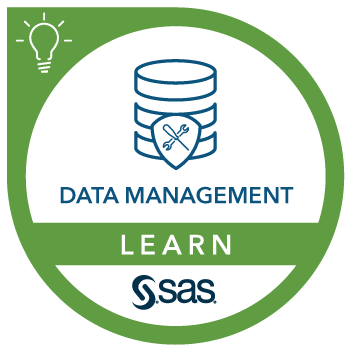 Before attending this course, you should attend DataFlux® Data Management Studio: Essentials or have equivalent knowledge. Understanding the structure of the QKB. Accessing the component files in Data Management Studio. Exploring the Chop Table Editor. Working with the Regex Library Editor. Navigating the QKB definitions in Data Management Studio. Viewing and testing a parse definition. Introduction to identification analysis definitions. Working with identification analysis definitions. Introduction to gender analysis definitions. Working with a gender analysis definition.